Call/text 704-564-3967, Merrick, or Contact here. Ok last minute, but better reserve in advance. 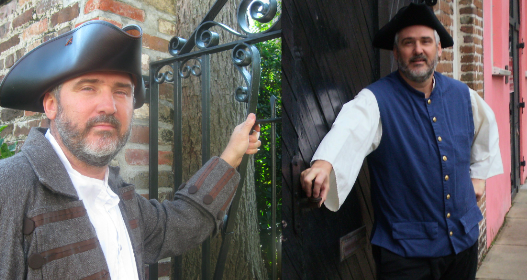 Ask for “DoTheCharleston.com Tours.” Our guides are premium experienced historians, speakers, hosts, and ambassadors. 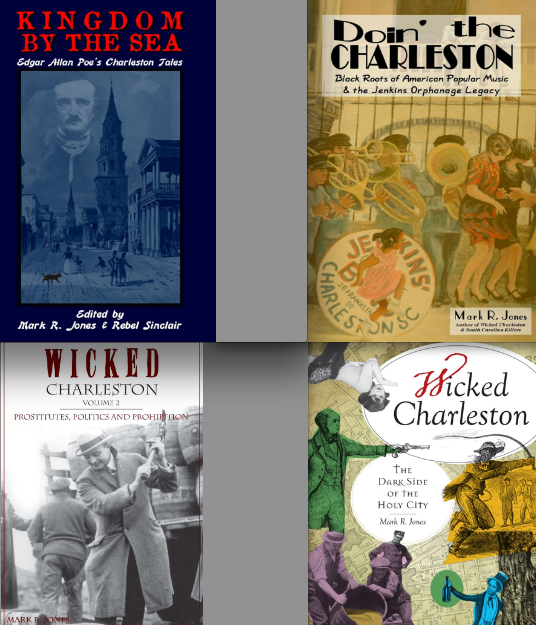 (See below, our guide Mark Jones wrote the book “Doin The Charleston”). – Cultural ARTs: lifestyles, history, battles, pirates, ghosts, bad-guys, good-guys, philanthropists, Tikuun Olam, Jewish, Christian, Gullah, etc. – Preservation ARTs: homes & gardens, architecture, antiques, synagogues, churches, plantations, forts, nature, beaches, sailing, kayaking, etc. – Wearable ARTs: fashions & fitness, shops & spas, etc. – Interpreters: foreign languages & sign language interpreter can accompany your Guide. RATES: Private Walking Tours (and/or Driving Tours, 1-4 persons). Ask if discounts available. $90/hour for 2 people, minimum 2 hours. $110/hour for 3 people, minimum 2 hours. $130/hour for 4 people, minimum 2 hours. $150/hour for 5-8 people, minimum 2 hours. Mark Jones wrote “Doin’ The Charleston:” Jazz and The Charleston dance started from the black roots of the nonprofit Jenkins’ Orphanage in Charleston. From the children’s spark, it spread like wild-fire to all walks of life, Kings, Queens, “The Great Gatsby,” and Hollywood. Then, now, and forever, everyone wants to Do The Charleston (including all nonprofits – we pARTy for purpose), in Charleston and around the world!